The wound care certification examination and credentials are provided by a national inter-disciplinary certifying board for healthcare professionals involved in wound care. Nurse Practitioners who have three or more years of clinical wound care experience are eligible to take the national wound certification examination. The test fee for the wound certification examination is $575 (this fee is not included in the price of the course). Our Nurse Practitioner Wound Care Certification Course provides Nurse Practitioners with the fundamental knowledge needed to prepare for national board certification in wound care management. The Nurse Practitioner Wound Care Certification Course curriculum is designed by certified, highly experienced wound care specialists, offering access to the most current, accurate information, technologies, and best practices. This course is part of our Advanced Wound Care Certification education. We recommend that Nurse Practitioners use this course to achieve accredited wound care certification through the CWS wound care certification or the CWCN certification. No. Once you register for our course you will be granted login information for the entire course. You will also receive our Wound Management training kit which includes all course material. For this reason, we are unable to accept partial payment. What is the requirement to enroll in the BSN and NP Wound Certification Course? The NP Wound Certification Course will take approximately 60 hours to complete. However, each student progresses at his/her own pace, so individual completion times may vary. The fee for the NP Wound Certification Course is $897. This includes the online course, post-course test, continuing education certificate and home study kit. The fee does not include the certification examination. 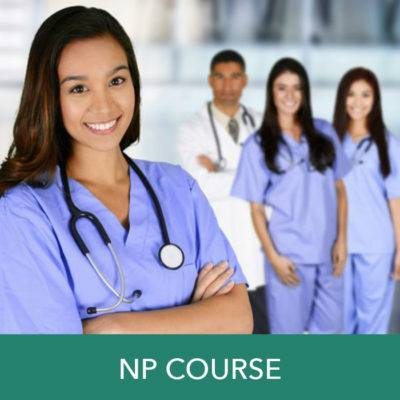 How much continuing education credit is provided with the NP Wound Certification Course? The Wound Care Certification course has been reviewed and is acceptable for up to 60.00 Elective credit(s) by the American Academy of Family Physicians (AAFP). Any licensed healthcare professional with a Bachelor’s, Doctoral or Master’s degree who has three (3) or more years of clinical wound care experience is eligible. This is documented through your three letters of reference, resume, and application. Please note: If you are not sure if you meet the eligibility requirements to take the wound certification examination, please email the ABWM at info@abwmcertified.org or call (202) 457-8408. Can I use the NP Wound Certification Course to obtain the WCC wound care certification? Yes. The NP Wound Certification Course may be used as preparation for the WCC wound care certification provided you meet the WCC eligibility requirements. However, if you have a Bachelor’s degree or higher we recommend that you obtain the CWS wound certification.